When I was ill with Chronic Fatigue Syndrome, going on regular retreats was one of the crucial things I did to help me to fully recover. Every time I came home from a retreat, my mind was clearer and I felt a fresh spark of energy and vitality in my system. Retreats can help you to recover your health and wellness too. One of the first stages in any healing path is to accept how things are in the moment. When we have resistance to our current situation, it puts more stress on our system, and more stress means more symptoms. When you let go and accept what is, just for now, you create a foundation of inner calm for your nervous system, to support moving towards healing. Retreats give you the space to let go into acceptance and surrender to what is now. Retreats can even help you find the space to be grateful for your health challenges – helping you to recognise that without them, you may not have taken this time for inner work or the experience of being on retreat, bathed in peace and the beauty of nature. Any healing path requires us to be dedicated to self-care. This can look very different for different people, but essentially self-care is anything that deeply nourishes you; meditation, yoga, relaxing in the garden, a walk in the woods, time with friends or a group you love. On a retreat you can do all of these things, and often more, such as learning new tools to facilitate physical healing. You get the unique opportunity to immerse yourself in deep self-care and radically support the next stage in your wellness recovery. When you go on a retreat, and practice acceptance, letting go, self-care and learn new healing tools, you are likely to experiences a deeper sense of wellbeing and some easing of your symptoms. This can help to show you what’s possible, which can give you the faith that you can recover. It is crucial to keep coming back to a strong faith in the fact that many people have fully healed from chronic illness, and you can too. We are social beings who benefit from being in a nurturing group space. Retreats provide the perfect opportunity for being in a safe group. All the meditation, mindfulness and the quiet that is generally found in a retreat environment gives you the space to develop your capacity to be in the moment more fully. To connect with a deeper and more spacious part of yourself. From this space and with the tools you are practising, you can deal with what arises with more resources and develop skills that will last you a lifetime. Often emotions about the past can remain stuck and frozen, which can contribute to our symptoms. When we take time away from our daily life to go on retreat, we have space to bring the light of awareness to these past events, and gently release what is being held there. Simply being on retreat can assist this, and it’s especially good to go on a retreat where you have the opportunity to learn and practice tools to assist this process, within a supportive and held container. ~ the vibrant energy I came home with after all of the retreats I went on. Retreats were a crucial part of my recovery journey and my spiritual journey to a deeper place of wholeness. May they become a part of yours too. 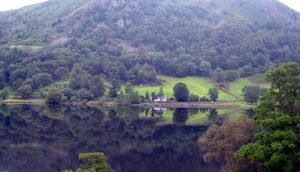 If you’re interested in retreats, we invite you to join us for our upcoming ‘Heal Chronic Illness ~ The Feminine Way’ five-day retreat in the beautiful Lake District November of 2016. Please go here or email us at joanne (at) womenswellnesscircle.com to find out more. 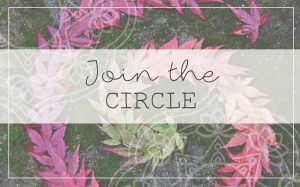 We will be exploring a range of tools included meditation, EFT and Family Constellations, all within the safe space of a conscious women’s circle.